In the 15 years since the second edition of this book, many new species have been discovered and formally named. 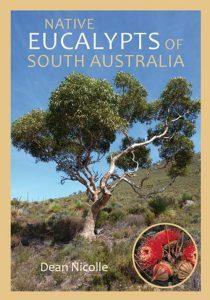 Over 370 eucalypts are described in this third edition which covers southern Western Australia, South Australia (excluding south east) and New South Wales north and west of the Darling River. 1,600 colour photographs show the trees bark, buds and fruit. This edition has been completely revised and updated and includes newly named species. OUT OF PRINT: SOFTCOVER IS AVAILABLE ( Stock id 13622). 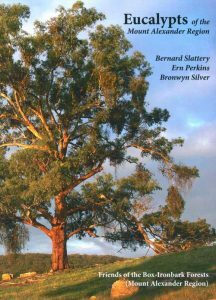 A comprehensive study of Australia’s most recognisable trees. It looks at Eucalypts and their place in art and history as well as an in depth examination of their evolution, biology and classification. Eucalypts are a familiar part of our landscape and an integral part of the Australian identity. We have farmed them and used them to build houses, furniture, roads and bridges since the beginning of white settlement. We have been inspired by them, painted them, made films about them, written books about them and of course Aboriginal Australians have long made musical instruments from them. Though a small number are found as native plants in several other countries, Eucalypts are a very Australian tree. This book celebrates their diversity, their beauty and the role they play in our history, culture and economy. It looks at their evolution, biology, horticulture and ecology, together with their classification and the botanists involved. Through historic and contemporary images, it examines the many ways in which they have served Aboriginal, colonial and contemporary Australians in both practical and aesthetic ways. This book is also available in softcover. Eucalypts of the Mount Alexander Region. Artist/Author: Slattery, Bernard, Ern Perkins and Bronwyn Silver. Presents the most commonly found species of Eucalypt in the Mount Alexander Region of central Victoria. Generously illustrated, this guide provides clear descriptions in plain language, perfect for any enthusiast. Though firmly based on the forests and reserves around the town of Castlemaine, it describes species common to the whole Box-Ironbark region, making this guide useful to those in that region and wider Victoria. 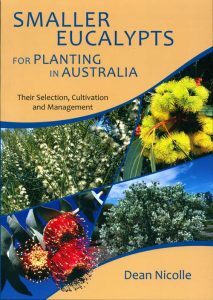 This guide treats 84 smaller-growing eucalypts suited for growing in Australia. Each species is illustrated by multiple photographs and a current distribution map. Comprehensive information is provided on identification features, distribution, habitat, cultivation and uses. Many of these species are already commonly grown and seen in gardens, streets, parks and farms throughout Australia, while others are rarely planted but have vast potential for much wider use, both in the urban landscape and in rural areas. This guide treats 81 taller-growing eucalypts suited for growing in Australia. Each species is illustrated by multiple photographs and a current distribution map. Comprehensive information is provided on identification features, distribution, habitat, cultivation and uses. Many of these species are already commonly grown and seen in gardens, streets, parks and farms throughout Australia, while others are rarely planted but have vast potential for much wider use, both in the urban landscape and in rural areas. 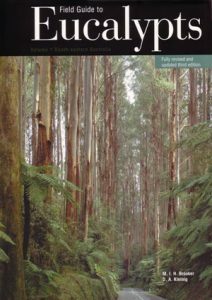 The ecology and life history of the most widely distributed species of Eucalyptus in Australia – the river red gum. From Geraldton to Grafton, from the York Peninsula to the Cape York Peninsula, the river red gum has the most widespread natural distribution of any Eucalyptus species. It forms the structural and functional elements of important floodplain and wetland ecosystems, yet we know surprisingly little about the ecology and life history of this tree: its longevity; how deep its roots go; what proportion of its seedlings survive to adulthood; the diversity of organisms associated with it and the nature of those associations. This tree has played a central role in the tension between economy, society and environment. Since the 1870s it has been the subject of repeated government enquiries over its conservation, use and management. We have now begun to move from a culture of wholesale exploitation of river red gum forests and woodlands to one of sustainable uses and conservation. 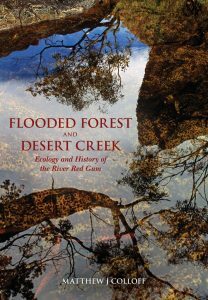 The author traces this shift through the depiction of river red gums and inland floodplains in art, literature and the media. Artist/Author: Holliday, Ivan and Geoffrey Watton. No group of plants is so characteristically Australian as the Eucalypts, yet individual species are by no means easy to identify. This practical book, now revised and updated, identifies more than 140 species commonly grown in or seen around cities, regardless of their state of origin. For each major species the plant is described, the range given, diagnostic features are summarised, related species are discussed, and their horticultural requirements outlined. 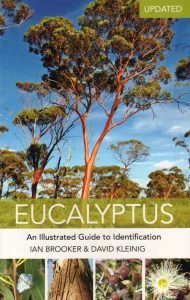 Details the 103 Eucalypt species and subspecies that are currently known in South Australia. For each species a double-page spread provides images of the habit, bark, buds, flowers and fruits, a seedling painting by Ian Roberts and a detailed map of its distribution within the state. Details of the meaning and origin of the name, characteristic features, distribution and habitat, cultivation and uses are given. 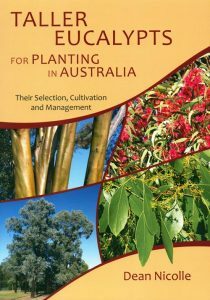 Designed and written for those with no botanical training, but also catering for the professional, this book will be valuable for all those interested in appreciating, identifying and growing South Australias native eucalypts. Artist/Author: Brooker, Ian and David Kleinig. Updated edition of this illustrated guide to identification. Australia’s bush and cities alike are dominated by eucalypts, in habitats as diverse as desert dunes and snowy mountain tops. Eucalyptus’ uses are varied: from commercial harvesting for essential oil, timber or fibre, to species with spectacular flowers that are prized by gardeners as ornamental trees. Many of these species may superficially look alike. It is not possible to identify eucalypts from their leaves alone, but with a few simple aids to identification most can be tracked down. 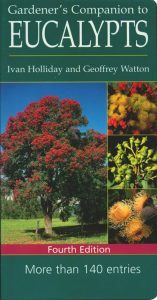 This easy-to-use book guides the reader through the key features: type of bark, appearance of buds, flowers and fruit, the gumnuts and arrangement of bud clusters that will lead to the correct species name. Artist/Author: Wrigley, John and Murray Fagg. A comprehensive study of Australia’s most recognisable trees. 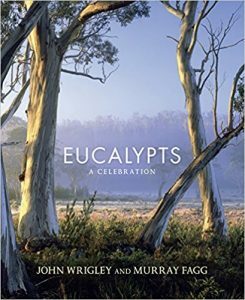 It looks at Eucalypts and their place in art and history as well as an in depth examination of their evolution, biology and classification. Eucalypts are a familiar part of our landscape and an integral part of the Australian identity. We have farmed them and used them to build houses, furniture, roads and bridges since the beginning of white settlement. We have been inspired by them, painted them, made films about them, written books about them and of course Aboriginal Australians have long made musical instruments from them. Though a small number are found as native plants in several other countries, Eucalypts are a very Australian tree. This book celebrates their diversity, their beauty and the role they play in our history, culture and economy. It looks at their evolution, biology, horticulture and ecology, together with their classification and the botanists involved. Through historic and contemporary images, it examines the many ways in which they have served Aboriginal, colonial and contemporary Australians in both practical and aesthetic ways. Artist/Author: Govaerts, Rafale et al. Myrtaceae is the ninth largest flowering plant family; it is economically important in the production of timber, gums, essential oils, fruits and spices, and contains many commonly cultivated ornamentals. The family is particularly rich in large genera, often found in some of the world’s most threatened ecosystems, where their fruits comprise an important part of the diet of primates and birds. The similarity of Myrtaceae species is high, and its taxonomic and nomenclatural history is complex, resulting in notorious difficulties in basic identification, inventory compilation and floristic treatment. 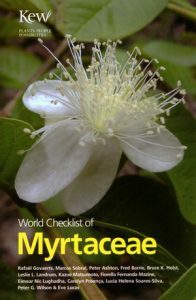 The world checklist of Myrtaceae is a much needed work that lists all validly published names in the family, providing the source of their publication and indicating which names are currently accepted and which are synonyms. It will be respected as the standard nomenclatural reference for further research into this important family. Artist/Author: Brooker, M. I. H. and D. A. Kleinig. OUT OF PRINT. Includes nearly 300 of the known species and subspecies for south-eastern Australia, with description and illustration for each. Since the first edition which was published in 1983, many new species have been discovered, any many names changed. In addition, the layout of the book has now been completely updated and reorganized consistent with volumes 2 and 3 (Volume 3 now out of print). At the head of each digest a summary shows how the species fits into the overall classification of eucalypts. Keys provide a systematic route to identification: there is a separate key for each of the four States covered by the books, plus the Australian Capital Territory. A wide range of characters is used to distinguish between the species. 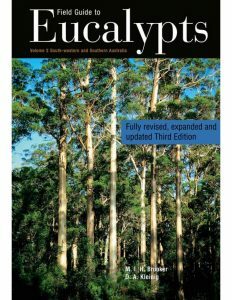 Field guide to Eucalypts Volume 1 is a most valuable and authoritative source of reference for botanists, foresters, field naturalists, and all who are interested in the Australian native flora.